Mr. Klei has over 30 years of construction, construction management, and project engineering experience in civil and environmental engineering fields. His civil project experience has included highway and bridge projects for several state Departments of Transportation and environmental projects involving remedial investigation, design, and remedial construction for both public and private clients. 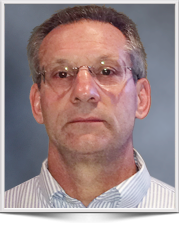 Mr. Klei has extensive experience as a construction manager. He has managed remedial construction projects that employed a variety of remediation strategies such as excavation and disposal, soil covers, bioremediation, and pump and treatment of water. Howie has also managed civil projects ranging from pavement construction for the Federal Aviation Administration to infrastructure construction for the US Army and US Air Force. Additionally, he has developed course materials for the National Highway Institute on construction scheduling, specification writing, claims management, and contracting principles; and is a certified instructor with the National Highway Institute. As an Environmental Engineer, Howie has managed remedial investigations, remedial designs, and remedial construction to address groundwater, soil, and sediment contamination. Howie served as Project Manager for several environmental projects involving site investigations, site monitoring, remedial designs, and implementation of remedial measures. Managed quality, budget, schedule, and client satisfaction for all assigned projects. Projects included the $2.5 million upgrade to a pump and treatment system in Montague, Michigan and remedial investigations, design, and construction on an accelerated schedule in support of redevelopment of a large industrial property along the Delaware River. Program Manager for the Operation, Maintenance, and Monitoring at several landfills and former manufacturing sites under a bundled lump sum contract for a large chemical company. Provided construction management, administration, preparation and review of contract documents and schedules for complex projects, partnering major construction projects, claims analysis, schedule analysis, alternate dispute resolution, and litigation support. Directed and managed the work of other consultants to ensure quality and timely services provided to owner and contractor clients. Scope of experience has been with construction management and claims resolution on projects totaling over $500 million, with several individual projects more than $50 million. Provided construction management services for the Triboro Bridge and Tunnel Authority during its improvements to the Bronx-Whitestone and Triboro Bridges, which totaled over $200 million. Provided construction management services to a contractor performing demolition and construction of three train stations along the Southeastern Pennsylvania Transportation Authority (SEPTA) Market-Frankfurt line. Managed the design-build contract for construction of the FAA National Airport Pavement Test Center at the William J. Hughes Technical Center located in Pomona, NJ. Provided the following National Highway Institute Training Courses to Departments of Transportation: Principles of Writing Highway Construction Specifications, Use of CPM for Estimating, Scheduling, and Timely Completion of Construction Projects, Alternative Contracting, and Managing Highway Contract Claims: Analysis and Avoidance. Responsible for all aspects of construction contract administration to include negotiating fixed price and cost reimbursable contracts, quality assurance, changes, and claims. Experienced in construction contract law and interpreting contract provisions. Project Engineer on several projects with formal partnering agreements. Project Engineer and Administrative Contracting Officer for the design-build construction of the Federal Aviation Administration’s National Airport Pavement Test Facility located at the William Hughes Technical Center in New Jersey. Construction projects also included the Fort Dix/McGuire AFB wastewater treatment facility, Molly Ann’s Brook flood control project, and military construction at Dover AFB to include airfield pavement repairs. Superfund and environmental projects have included the Lipari Landfill, Mantua Township, New Jersey; Jet Fuel Farm at the Atlantic City International Airport; DeRewal Chemical Company, Frenchtown, New Jersey; Area 20A Salvage Yard, FAA Technical Center, New Jersey; and Nascolite Superfund Site, Millville, New Jersey. Performed claims analyses, scheduled analyses, and provided litigation support. Carried out an analysis and provided alternative dispute resolution support for a cumulative-impact, total-cost claim with issues related to delay, inefficiencies, design defects, contract administration, and liability. Provided contract administration for a $512M contract for the expansion of Fort Drum in Watertown, New York and was involved in the large-scale use of alternate dispute resolution to settle $113M in claims related to its construction. Supervised construction of airfield runways, roads, and military training facilities. Commanded a construction company of over 150 soldiers of various construction trades. Commanded a 13-man Civic Action Team deployed to Pohnpei, Micronesia for 6 months.